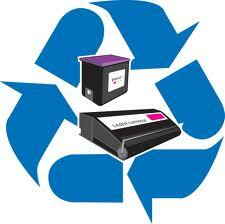 Instead of throwing out your empty inkjet or laser printer cartridges – Recycle them for a great cause! The CVES PTA is part of a nationwide program where we earn money when we recycle empty inkjet and laser toner cartridges from our homes, offices, and community. It’s completely free to participate, supports the environment, and helps us earn much-needed funding. The collection bin is located at the front office so please feel free to drop these items off and help support the PTA!